﻿ INDIA GP 2010 – First time for every…one? INDIA GP 2010 – First time for every…one? China’s girls benefitted from the absence of India’s top women at the Syed Modi India Grand Prix badminton event in Hyderabad last week. 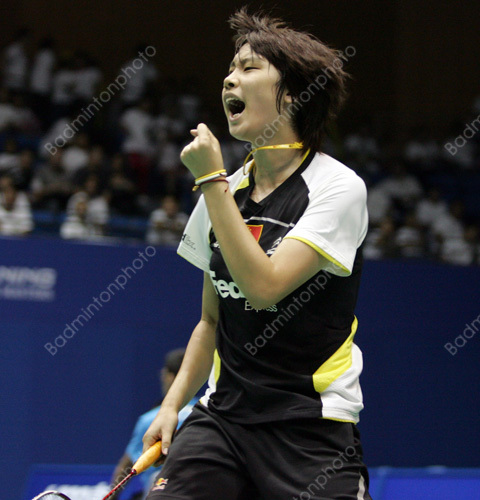 Zhou Hui picked up her first international title while Tang Jinhua grabbed two! 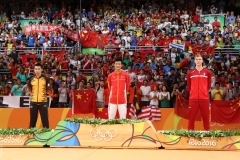 Indonesia was strongest in the men’s division, where Dionysius Hayom Rumbaka won the singles. The big story early in the week in Hyderabad was the withdrawal of Hong Kong Open champion and local favourite Saina Nehwal, due to an ankle injury sustained in her Hong Kong final. 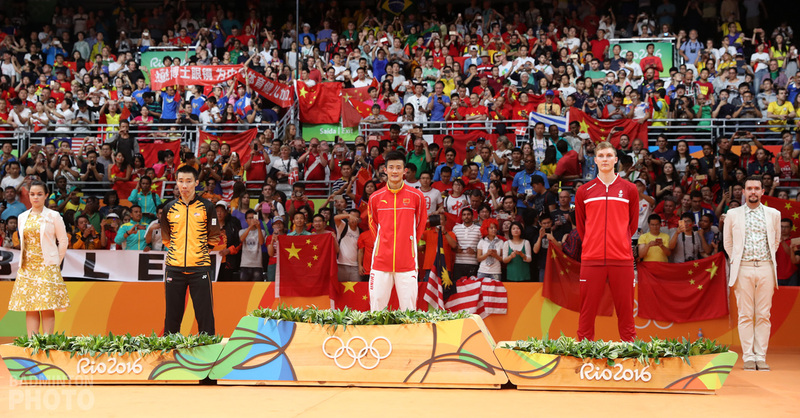 However, Commonwealth Games champion Jwala Gutta was also nowhere to be seen and this opened things up for China’s younger generation, who made the best of the opportunity. 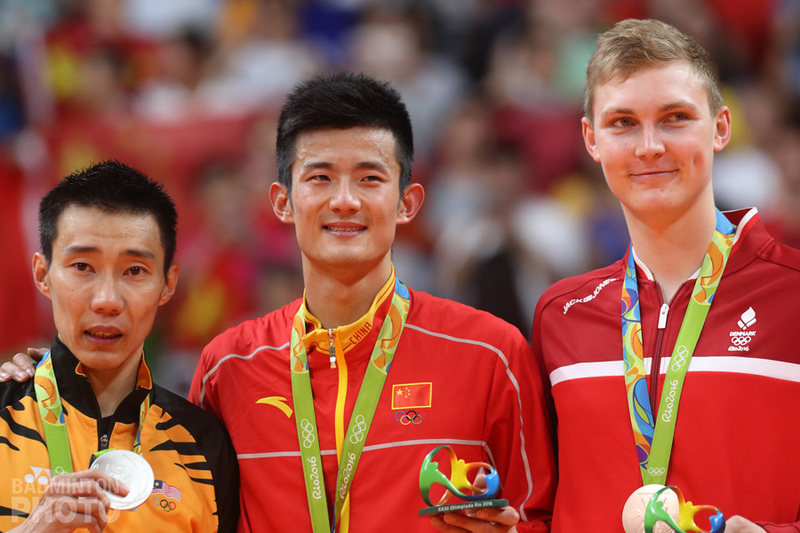 Young Zhou Hui (pictured right) has been struggling to peek out from the shadow cast by fellow up-and-comers Li Xuerui and Liu Xin, not to mention China’s (and the world’s, for that matter) top echelon of mostly Wangs. 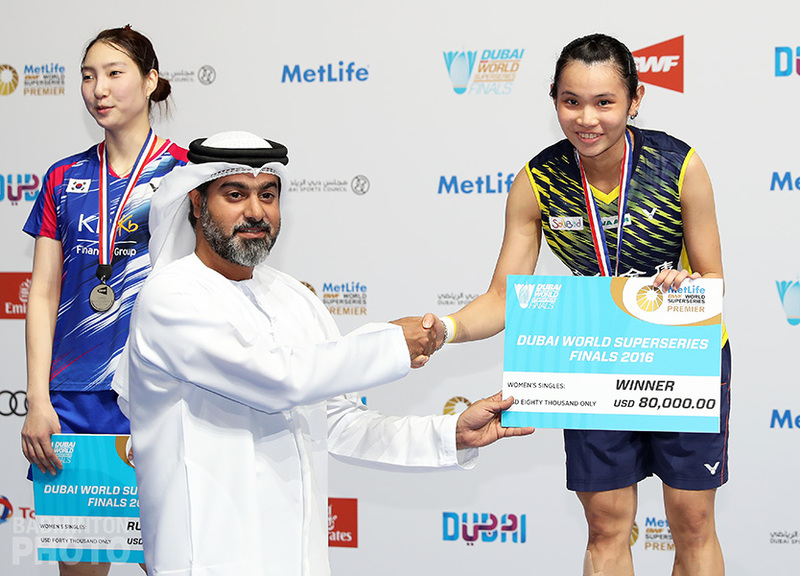 With a Grand Prix final and two semi-final finishes to her credit, just from this fall, and impressive wins over the likes of Ella Diehl, Juliane Schenk, and Petya Nedelcheva, it was only a matter of time and Zhou made no mistake. After dispatching compatriot and 2009 Asian Junior Champion Chen Xiaojia in the second round and going on to struggle with two lesser-known Indonesian hopefuls, Zhou had a comparatively easy time of it in the final against the very experienced Fransiska Ratnasari, whom she beat 21-13, 21-17. Tang Jinhua and Xia Huan (pictured top) have moved fast, considering that their first Grand Prix title came just thirteen months after their World Junior Championship, which they won in the autumn of 2009, even if they were unable to defend a few months later in Guadalajara. 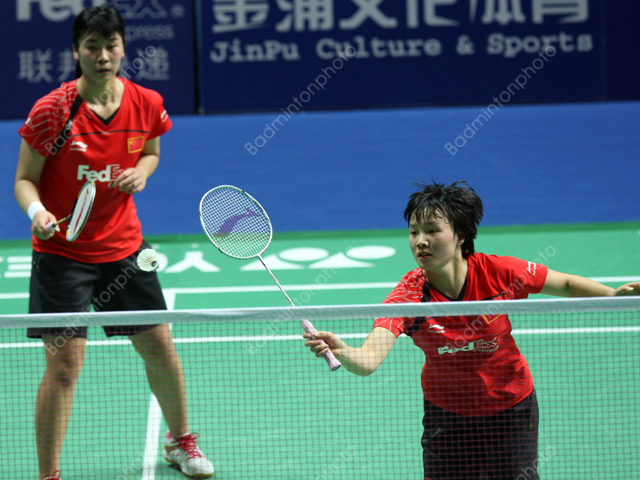 The Chinese pair had little trouble against Malaysia’s Ng sisters. 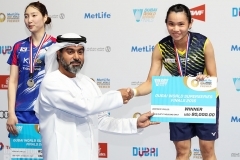 In fact, by the time she and Xia had sealed the women’s doubles title, Tang had already begun the Sunday nightmare for Malaysia, dealing what would end up being the first of two losses for both Ng Hui Lin and Gan Teik Chai in the mixed doubles. Gan also figured in the last match of the day, where he and Tan Bin Shen came up short against Indonesia’s Mohammad Ahsan / Bona Septano, whose three-game victory gave them their third Grand Prix title of this autumn. 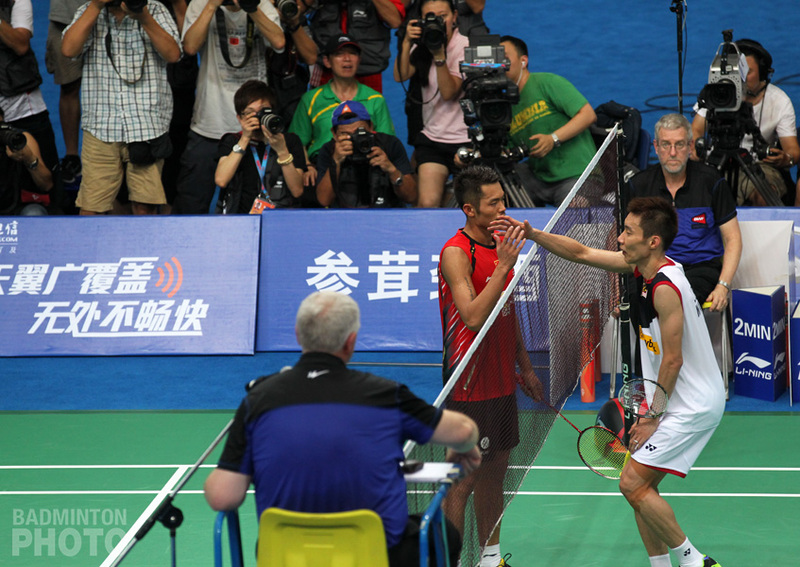 Dionysius Hayom Rumbaka (pictured) had got things rolling for Indonesia, however, when he beat Thailand’s Suppanyu Avihingsanon in three. Avihingsanon, of course, was his team’s hero at the Asian Games when he beat Liew Daren to give Thailand a long-awaited victory over Malaysia in the men’s team event (see related article here). The Thai did a lot of the heavy lifting in the men’s singles draw in Hyderabad, too, ejecting two of the strongest home nation challengers, Chetan Anand and Arvind Bhat, along with Alamsyah Yunus. But Rumbaka, who had finished runner-up at this tournament last year – a placing that had been his best result so far in 2010, at the Indonesia Grand Prix Gold earlier this autumn – was even more determined to finish the year on a high and he prevailed 14-21, 21-15, 21-12.